Analysis: Don is a fantastic film. I don't want to reveal too much in case you haven't seen it. But it's a film that doesn't disappoint. I strongly recommend that you see it if you havent. 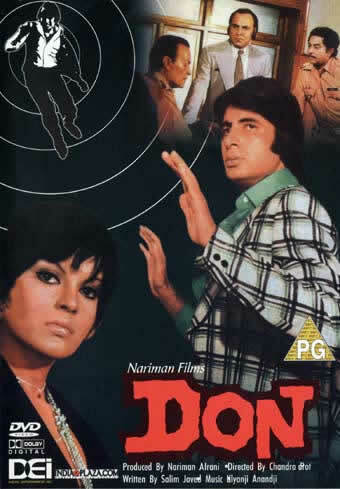 It's Salim-Javed at their finest and features Amitabh Bachchan in one of his most memorable performances. Analysis: It's hard to believe this was Rajkumar Hirani's first film. Not at any point do you feel that this film was made by a newcomer. Rajkumar Hirani's understanding of a smart comedy needs to be lauded. Analysis: Sharaabi is my favourite Amitabh Bachchan film. I simply love Prakash Mehra's dialogues in this film and Mr. Bachchan's delivery is outstanding. 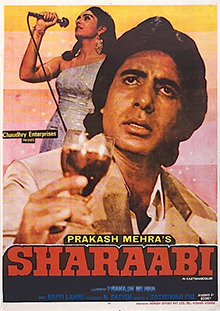 Sharaabi is a lesson in dialogue writing. Not only are the dialogues strong they are full of philosophical thoughts and poetry, something today's generation of writers lack immensely. Analysis: No list would be complete without the inclusion of Jaane Bhi Do Yaaro. Probably one of the finest comedies ever made. This film proves it's not the budget but the content which is king. Made for peanuts, Jaane Bhi Do Yaaro delivers in a way that no other film does. A showcase of upcoming talent who will entertain us for the next 3 decades, Jaane Bhi Do Yaaro deserves a look by all who haven't seen it and another look by those who have. Analysis: It's very difficult to make a comedy, but to do it well, that's the talent of Hrishikesh Mukherjee. 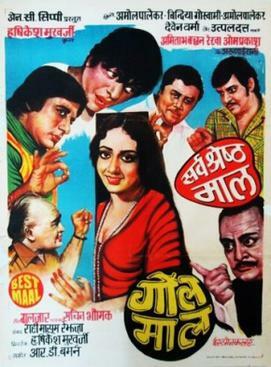 Gol Maal has the same flavour of all his other comedies. What sets this film apart from other comedies is it's simplicity. From Amol Palekar explaining why he's wearing a short Kurta to why he's playing hooky from work, it's the simplicity we enjoy in this classic. Analysis: Padosan is a classic, I don't know anyone who doesn't love this film. The characters are so well etched that you're drawn to them instantly. One can't even imagine anyone else playing these roles. Whether its the scene where Vidyapathi is trying to teach Bhola how to sing or the scene where Bhola is trying to woo Bindu away from Master Pillai, the entire film is full of sequences that keep you in splits. Analysis: If there's any film that brings back the flavour of Sholay, it's Dabangg. Not since Sholay have we witnessed such strong dialogues and seen such entertaining action sequences in a Bollywood film. The songs are a delight and stimulate your emotions. Every song leaves an impression in your mind and you're still humming them long after the film is over. It's not difficult to see why this is one of the highest grossing films of all time. Analysis: 3 Idiots inspires, entertains and educates - this should be the backbone of every film. Rajkumar Hirani is arguably the finest filmmaker in India, today. Few filmmakers take the time to make a film. Most are churning out multiple films a year. But in order to deliver good fillms a filmmaker needs to spend time on the screenplay, Mr. Hirani understands this perfectly. 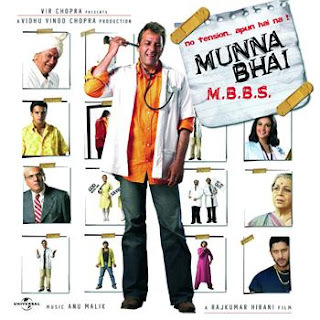 3 cheers for the man who introduced us to "Jaado Ki Jhappi" with Munna Bhai M.B.B.S., showed us "Gandhigiri" in Lage Raho Munna Bhai and taught us the wisdom of "All Is Well" in 3 Idiots. Can't wait for his next catch phrase. Analysis: Chupke Chupke is my favourite comedy of all time, I can watch this film anytime. It's sad that we don't see comedies of this caliber any more. Everything from the jokes to the acting is superb. 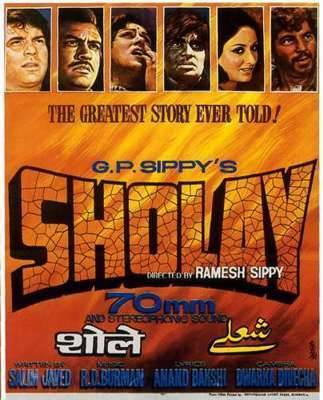 Analysis: Not surprising that Sholay is number 1, I don't feel I need to explain why, doing so would only demean this classic. this website is my intake , very excellent layout and perfect subject matter. Howdy this issue is very concerning. Keep it going guy ! Thanks, you've helped me a lot. I will definitely use your service again. I am glad that I found this site , just the right info that I was looking for! . Great write-up, bookmarked this website so with any luck,I will see more on this subject matter in the future! Superb info thanks for this. Certainly agree with just what you whispered. Your explanation was certainly the easiest to comprehend. You have made your blog more interesting than most that I read. Thanks for that. I put my site and email in the allocated spaces. It seems to be customary to include these so I hope that its ok with you. There is some validity but I’ll take maintain opinion till I look into it further. Bollywood Character artist Anupam Kher has been awarded with ‘Honored Guest Award‘ from America’s Texas state for his outstanding contribution in the field of art and Cinema.